The members of Rose Bowl Riders formed Rose Bowl Riders Charitable Organization to plan, promote and fund greater access to horses and the equestrian lifestyle for children and their families in Pasadena and the surrounding communities. 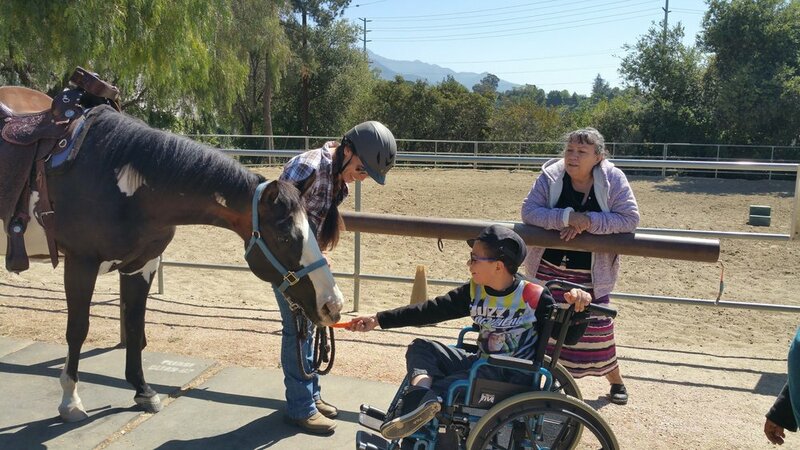 We do this by providing free-of-charge opportunities to meet horses and connect with them. Since 2011 we’ve been providing opportunities to meet horses. To connect with them, learn from them and love them. Click the yellow button to make a tax-deductible donation via PayPal! Brings elementary school students to the barn to meet the horses, learn about their “jobs” and the work they do around the world. They watch a riding demonstration, and create a Chinese scroll art project with the horse as the focus. 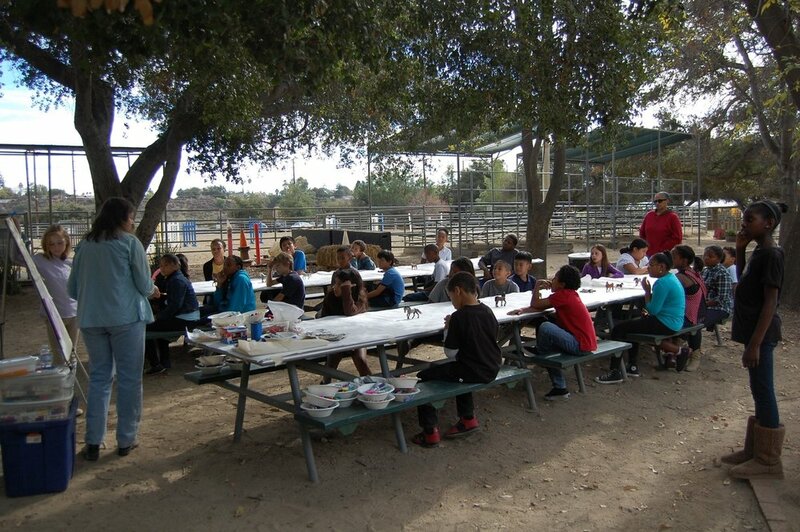 Participating students are from Pasadena Unified School District and come free of charge (including transportation!). We’ve had groups of students from special day and regular classes as well as GATE (gifted and talented program). Puts children on the back of a horse the first day. This unique hands-on program teaches children how to care for a horse – brush, bridle, saddle, lead and RIDE! Small groups of children age 8-14 come for several sessions with a riding instructor. Currently the program focuses on “at risk” youth and those who are underserved or have special needs. 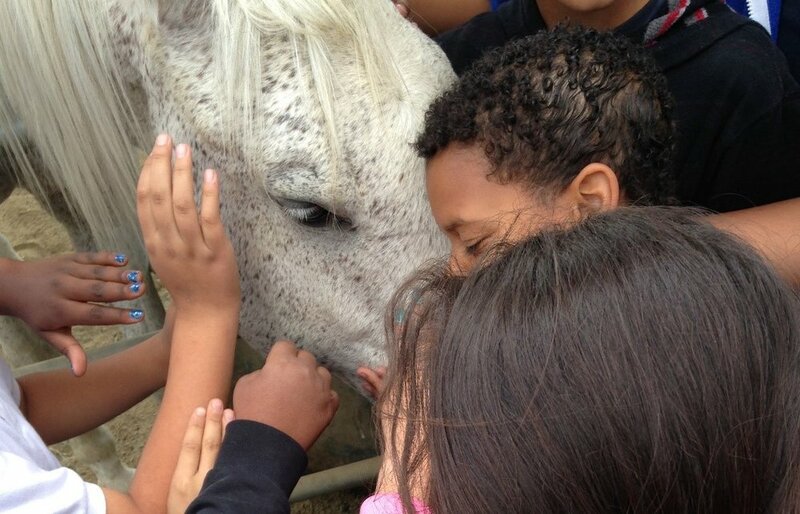 Ultimately we want to expand the program to include all children so they may discover their own special connection to horses. Brings young patients staying at the Pasadena Ronald McDonald House to Rose Bowl Riders for a couple of relaxing hours away from doctors and treatments. The time is spent having a barn tour an art project and just enjoying observing the RBR members exercising their horses or taking lessons. The volunteer efforts of the Rose Bowl Rider members and donations make these programs possible! If your group would like to come to the barn or if you’d like to donate to help others participate in our programs, please contact us.